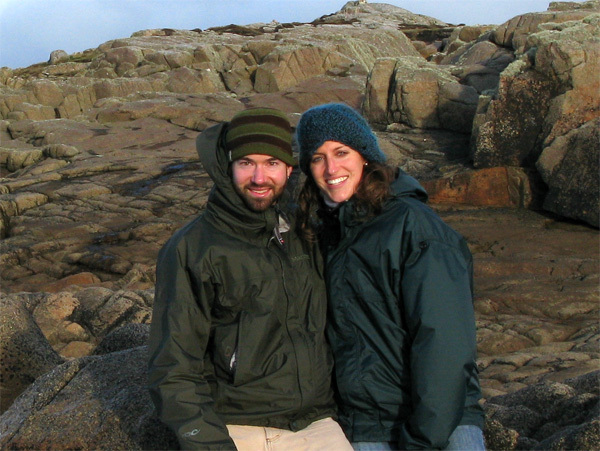 After saving up for a couple years and quitting our jobs, Caroline and I (Pat) set off August 5th 2009 for an open ended trip south through the Americas. The first part of the journey took us via Jeep through the southern and western United States. 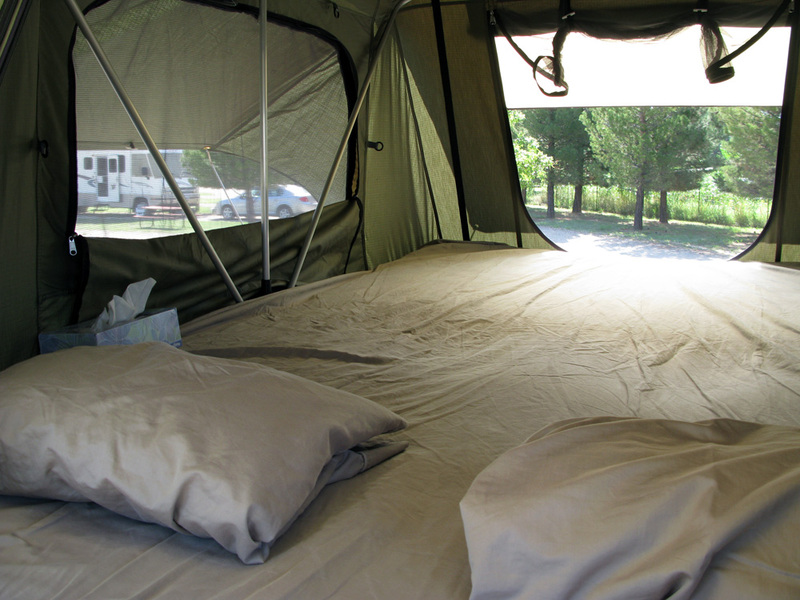 We camped in our roof top tent and enjoyed hikes and bike rides at fun stops along the way. Our main focus in the US was the Southwest, spending most of our time in and around New Mexico, Colorado, Utah and Arizona. After a couple of months of cruising through the States, we left the jeep with my Aunt and Uncle in Arizona. Then flew south to Costa Rica for some backpacker style travel through Central America. After six weeks around Central America we set sail from Panama and arrived in Colombia a week later. We continued the journey south down the west coast of South America visiting: Ecuador, Peru, Chile, Argentina and Uruguay over seven months. Our goal was to reach the very bottom, which we did! It’s been a wild ride so far, thanks for following along. Since returning to the USA in late June 2010, we’ve been traveling from Arizona (where our Jeep was parked) up the coast of California, Oregon and Washington. Hopefully we’ll find a cool place to live and stay out here for a while! 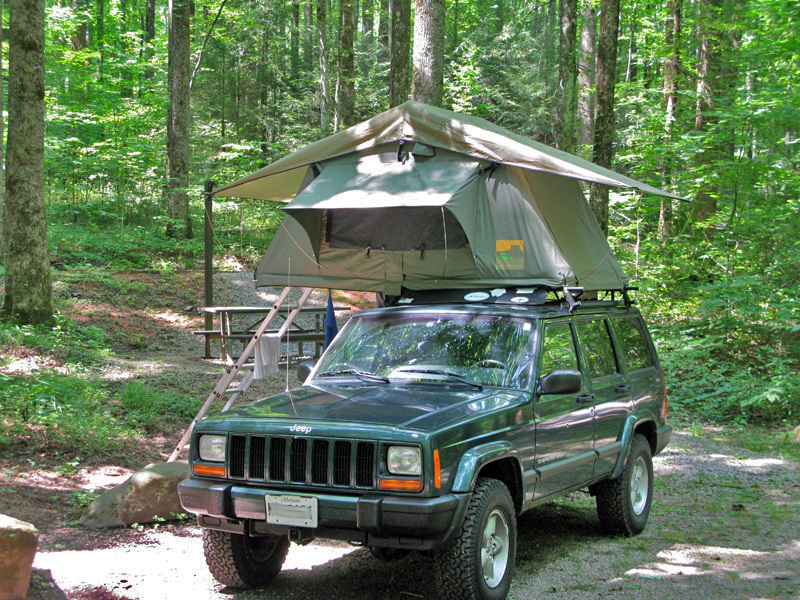 Transportation for the journey through the States will be in a 1999 Jeep Cherokee Sport. I (Pat) have had the Jeep since May of 2002. My decision to get a 4×4 was heavily inspired by my late cousin Marya Griffin who took me off roading during some downtime at a family reunion in 1997, we had a blast! 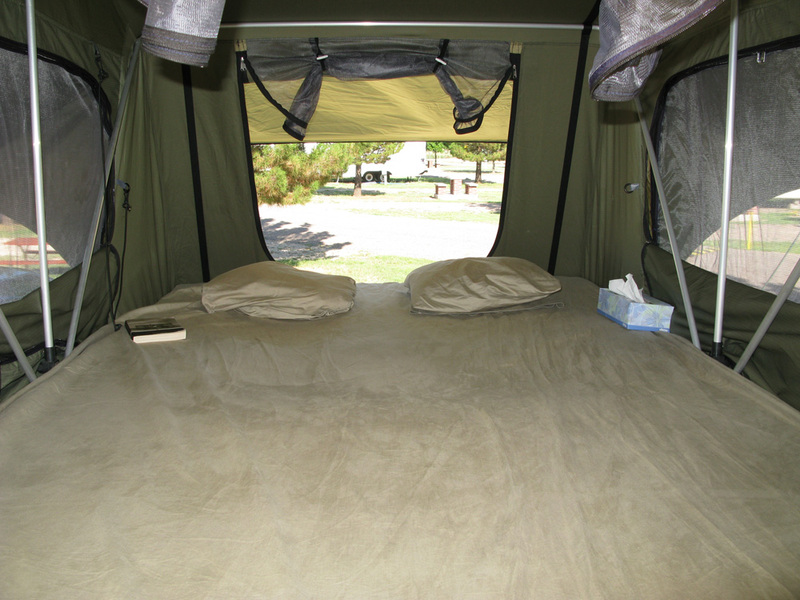 Inside the tent, it's about the size of a queen, very spacious. The windows offer plenty of ventilation and good views. It has a thick memory foam like mattress. From the inside, looking out the front door....and the mattress. A view from the inside looking out the front door. Good luck on your journey to the center of the earth. Watch out for man eating monsters and lava creatures. As always, I’ll miss you (you too Caroline)!! I especially like the descriptions of local accents-nice touch! What do you do while you’re driving? Listen to music, books on tape? Talk? Sleep? Who spends the most time behind the wheel? Do you eat out most of the time, or do you have a cook-stove, etc? What has been your favorite meal so far? Please include details of southwestern food when you get there (I LOVE it!). Have you had to climb down the ladder in the middle of the night to use the john? How is the tree house worked out so far? Okay, I guess I’ve asked enough questions! Take care; your family and friends at home love you and miss you. I’m so thrilled for you guys and to be able to virtually follow you. This is such an opportunity to see the world in an up close and personal way. Have fun, be safe, and I’ll be following your journey! Patrick, thanks so much for sharing your adventures. I can’t wait to see the updates and follow along living vicariously through the two of you. You guys are so lucky to be able to enjoy life! Safe travels and have fun! Awesome pictures! You both look so cool considering the hot weather. SOunds like everywhere you have been so far has been great. Love the additions to “About”. Great pic of you two. Hey man! Sounds like a great trip. Sorry that I missed your send off. Also nice blog site. Check out Goblin Valley State Park in central Utah. Well worth the trip. Chad and I went years ago. 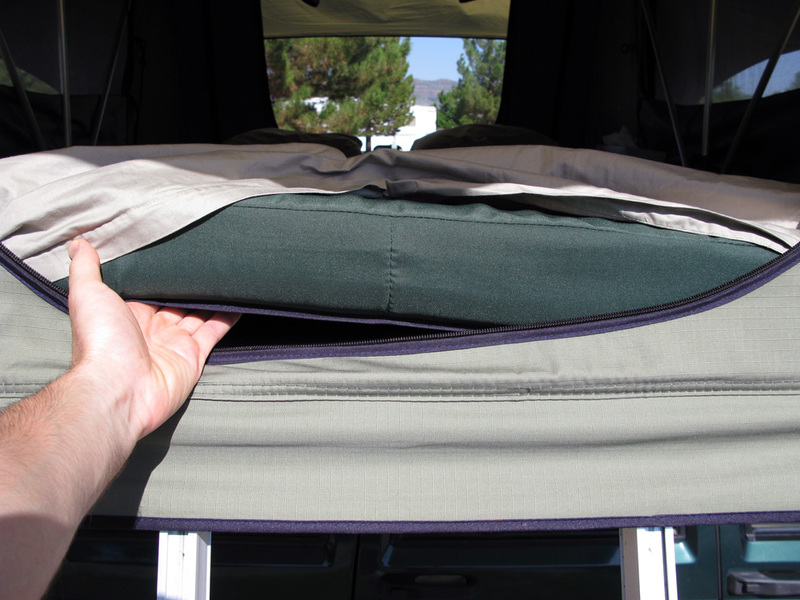 What supports the portion of the tent that is not on the roof of the jeep? You will have to show, in pictures, the steps to open and close this amazing pent(house)jeep. I’ve been looking forward to reading about your journey through West Texas. Looks amazing! The border picture is beautiful. It sounds like it was safe enough to get so close to it. Thanks for including a picture of the inside of the tent. As you know, I was away when you first installed it. You haven’t answered Anne’s question about getting up in the middle of the night. Did you have to do it yet? Thanks for the interior shots. So is it basically just a sleeping enviornment? What’s your jeep’s name? Love you! Good work all around guys- trip, blog, accessories, everything. When you said ‘roof top tent’ I thought it just packed up there, not that it was a flying tree house. Pretty awesome. I fully recommend you guys swing through Taos when you do New Mexico, and also White Sands National Park outside of Alamogordo is awesome. Best of luck, keep up with the blog. This is my first time checking in and I’ll continue to do so. Travel safe. I’m so excited to be reading your great blog and seeing wonderful pictures of your journey! I’m so proud of you! I think you should turn this into a travel book…and who needs to work after that! Your trek sounds great. We can’t wait to see you in Scottsdale. We have outdoor space on our driveway and a major airport if you want to leave the tentmobile here. Sorry for my lack of technical aptitude, but on the about page, what do I click on to see the video? The video was not there the first time I checked. This is a fantastic system, it unfolds… et voilà! As Kim said time and again, it’s not the first time Pat has done this type of adventure, and it shows. Bravo! Thank you for this video, much appreciated. I love your blog and look forward for every new addition to follow up on your trip. I noticed in a previous edition that you seem to have a folding cooking table, I am interested to see it closer. Anything that is organized system draws my attention. Till next time, Bye!